The A411 Rubber Flooring Adhesive is an approved excellent solution for applying all Roppe and Mannington commercial flooring. 1 gallon covers 125 sq. ft.
4 gallons covers 500 sq. ft.
Koffler Sales carries a full line of rubber floor tiles for commercial flooring. Choose from a variety of products from Mannington and Roppe. Click image to view! 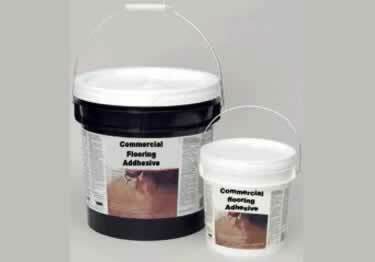 Rubber Flooring Adhesive is an approved excellent solution for applying all Roppe and Mannington commercial flooring. Hard to get excited about glue, but it seems to work fine.